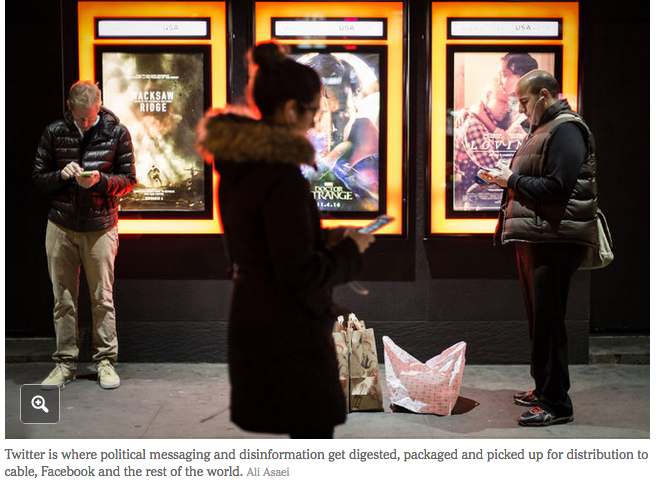 Blowing up a symbol – act of defiance or desperation? 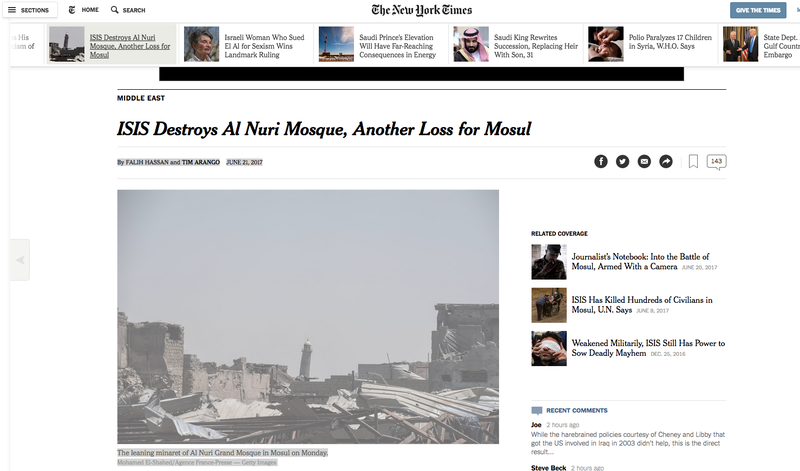 Both articles agree that the Mosque was a center of gravity the center of the purported Daesh Caliphate.The Times provides a lot of information about the history and influence of the Mosque over time. 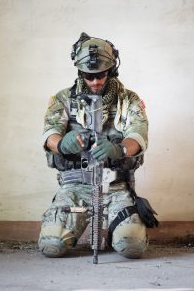 Task & Purpose goes into more detail from a tactical perspective and addresses the ISIS claim that the mosque was destroyed by an allied airstrike. From my perspective, Symbolism and PSYOP are not lost on ISIS. Time and again they have proven that they understand the influence game. By blowing up the Mosque they deny the probable victors endless influence opportunities. The Mosque has been prominent in Mosul for centuries and it is a revered and recognizable symbol. While in ISIS hands it served them well as a showcase while it was in their hands. The destruction of the Mosque is another example of how ISIS routinely ignores rules of any kind, whether religious or secular or humanity, to further their own cause. Their track record of destroying religious artifacts is well known with the Mosque being only the latest example. 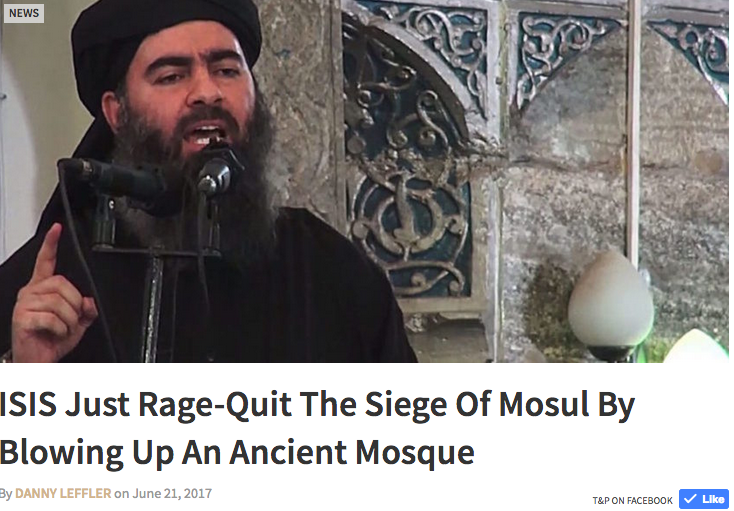 Even when people see through the shallow ISIS claim that the Mosque was destroyed by an air strike is proven false; the victors will not be able to use the ancient Mosque as a platform to proclaim their victory and the righteousness of their cause. I’m not much of games player, but I decided to play one today. I decided to follow @POTUS. I mean after all, how often is it that you can get statements right from the Horse’s Mouth. Others, like the media, perhaps, not nearly as good as understand the Twitter Game. 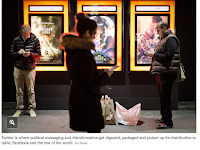 On May 23, 2017 the NY Times published an article entitled “How Twitter is Being Gamed to Feed Misinformation” (see: https://www.nytimes.com/2017/05/31/technology/how-twitter-is-being-gamed-to-feed-misinformation.html?_r=0; which is also a photo source). My own career has been intertwined with the media as well. I wrote articles for a variety of publications, published a couple of newsletters, and continue to write this Blog after almost 10 years. I’ve also been someone who has worked with the international media in government, commercial and non-profit roles. I’m learning that Twitter is not a purveyor of truth, but more of a conduit for thoughts emotions and messages. Tweeting is an accepted form of journalism and Tweets themselves are sources for journalists. As the article notes the 140 character format is a godsend for journalists and others looking for short, pithy quotes that make their job easier. Unfortunately it doesn’t make the journalist more accurate, it just rewards laziness. Twitter can also be the voice of the herd. Public interest and concern about national disasters can be gleaned from the type and velocity of Tweets about it. Traffic peaks and ebbs, reflecting the cumulative perspective of the herd. 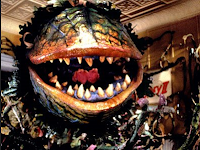 Twitter is a notoriously unreliable source whose constituency includes unreal people and groups and whose platform allows small groups to act and influence as big ones. People and robotic re-Tweeting can add gasoline to the fire as noted in the article. Given its importance perhaps those charged with implementing MISO should have a proficiency test as they do with their personal weapons. Is it time to retire Loud Speakers in Favor of LRAD? 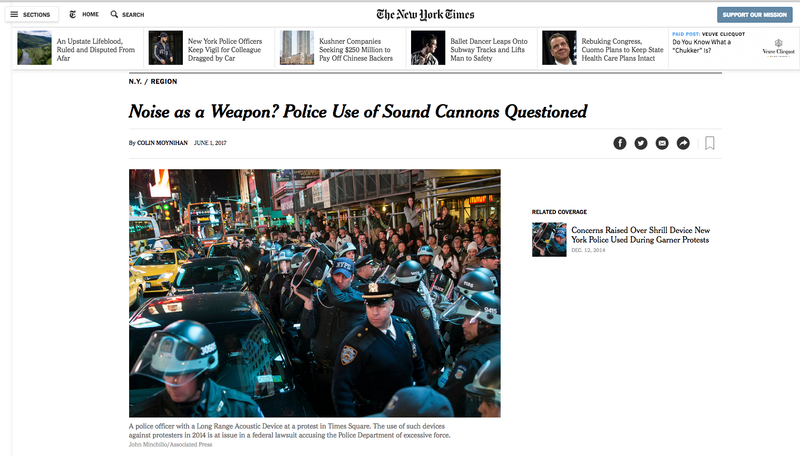 Frankly I didn’t know what a Long Range Acoustic Device (LRAD) was until I saw an article in the June 1, 2017 printed edition of the NY Times which you can find on-line at: https://www.nytimes.com/2017/06/01/nyregion/sound-cannon-protest-lawsuit-long-range-acoustic-device.html?_r=0, (which is also a photo source). The article addressed a law suit filed as a result of LRAD use on December 5, 2014 at a protest in Midtown Manhattan against a grand jury’s failure to indict a police officer whose choke hold killed Eric Garner. Among other capabilities, the LRAD can inflict permanent hearing damage although the article notes that the LRAD was designed to repel boarders after the attack on the USS Cole. Compared to a noise flame thrower, the LRAD offers a number of other capabilities as explained on the vendor website: https://www.lradx.com/, which is another photo source. 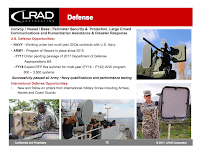 The vendor shows variants of the LRAD that can provide Mass Notification or Public Address capabilities as well as integrate with existing communication systems. There is also the capability of employing the devices remotely. 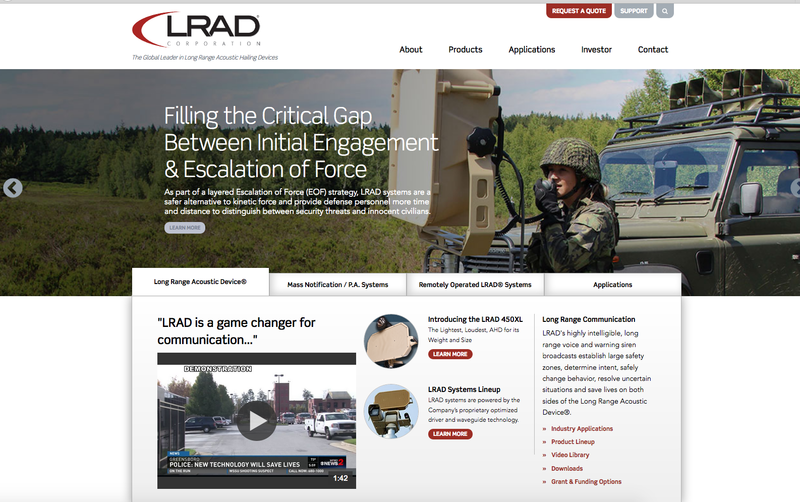 If one burrows down a bit in LRAD Corp’s website, under the Investor tab, you will find a Corporate Presentation. 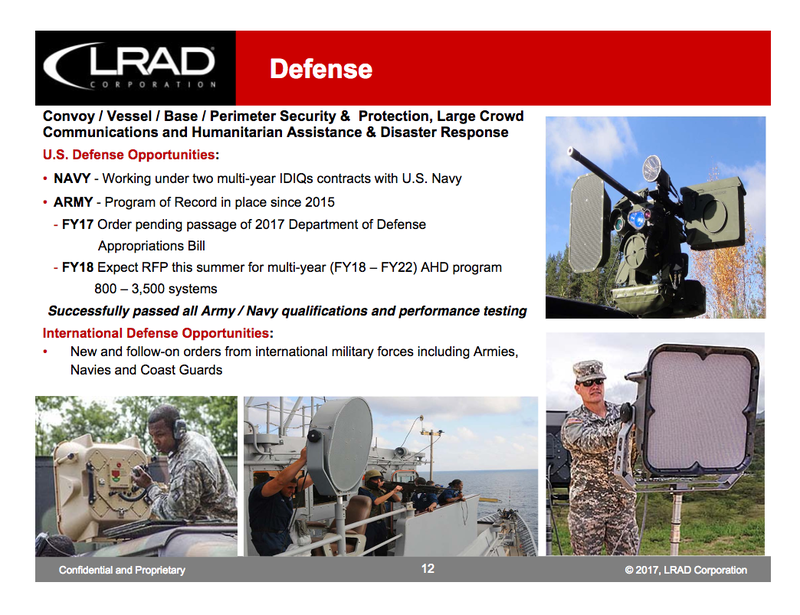 Slide 12 which appears here gives the company’s position with in the defense industry. It would seem that the HA & DR application would be a MISO/PSYOP mission while Large Crowd Communications might be a Military Police or MISO/PSYOP mission. As with many of today’s defense systems, the LRAD is complex, yet modular. Thus far the LRAD appears to be vehicle mounted and does not seem to be available in a Man Pack configuration at this time. Given the range of capabilities, operators will need to undergo some very solid training on ROE and the legal aspects of LRAD use. While permanent hearing damage has been noted as a potential outcome, the lethality of this weapon has not been tested. For example, if the LRAD is ‘fired’ at a moving vehicle disrupting the operation and causing a death – does his move LRAD into the lethal force domain or not. Your BFF is a Cossack! 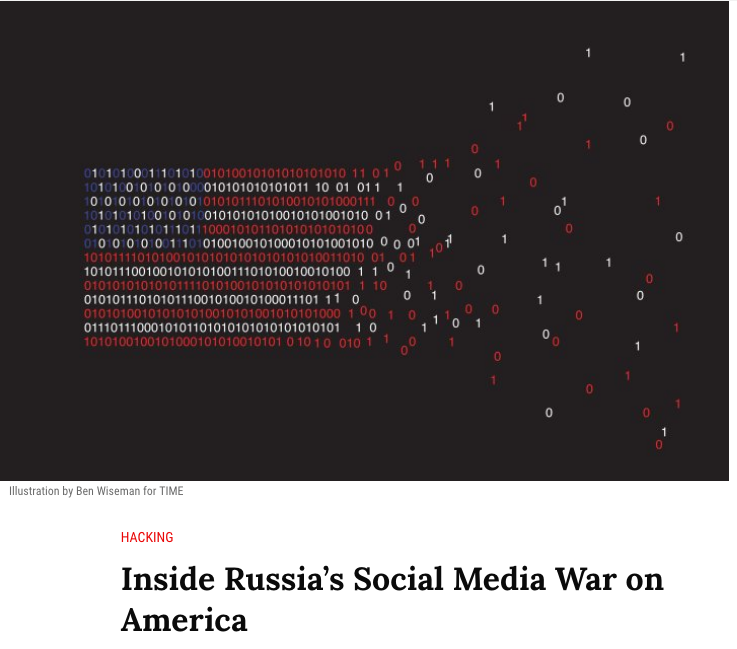 Magazine via an article passed to me by a colleague, the Russians are employing electronic http://time.com/4783932/inside-russia-social-media-war-america/; which is also the photo source. 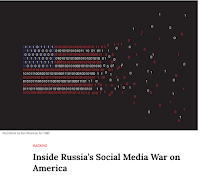 One of the interesting aspects of the campaign described in the article is the combined use of people and automation to accelerate the pace of the social media battle. The deft use of algorithms to determine targets and key targeting hot buttons helps to add focus and impetus to the efforts. Custom tailored messages can be sent by a combination of people and bots in a cleverly orchestrated campaign to alter behavior and opinions. The old saying ‘no none knows you’re a dog on the internet’ should be taken a step further. No one knows who you really are or who you can be on Social Media would be more accurate. Just as an individual can take on fictional characteristics in a virtual reality game, it has become quite easy to develop a fake Social Media persona and exploit that persona as needed.